Wedding bells continue to ring for the girls of 16 and Pregnant! 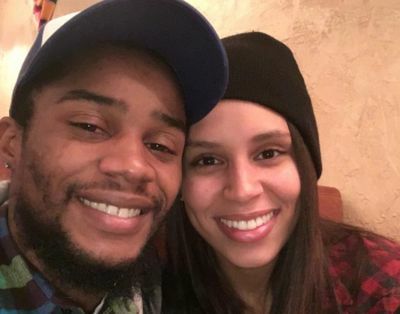 The latest girl from the series to get hitched is Season 3’s Cleondra Carter, whom The Ashley can confirm married her boyfriend, Michael Wrease on April 19! From what The Ashley hears, Cleondra and Michael got married in a small, private ceremony, but the couple is planning to have a big reception later this year or in early 2017. Michael is the father of Cleondra’s son, Adrian, who was born in July 2015. Cleondra is also the mother of five-year-old Kylee, whom she gave birth to on ’16 and Pregnant.’ Kylee’s father, Mario Escovedo, and Cleondra have been battling for custody of Kylee for several years now, after Mario was awarded custody in October 2014. Cleondra still sees Kylee regularly, however. 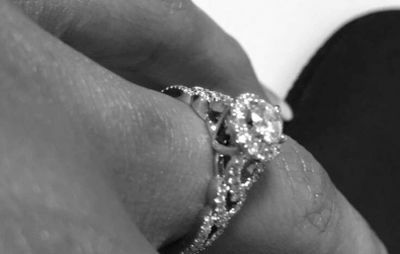 Cleondra posted a photo of her wedding band to her Instagram account, proclaiming that she is, “One happy lady!” She has already begun using her new last name– Wrease– on all of her social media accounts. To get updates on some of the other girls from ’16 and Pregnant,’ click here! She seemed like the most normal of her family. Her mom was too busy partying. Her sister was a wannabe rapper that dumped her kid on her. Then after the show aired her sister gave out all of Cleondra’s info to people in the comments of an article. I don’t know why maybe in a last ditch effort to safe her so called “rap career” to ride on her sister’s coattail. If I remember correctly her family was always to busy thinking about themselves and she was stuck taking care of stuff they didn’t feel like doing like taking care of their own kids. She wasn’t bad but I wonder if her family had something to do with the whole custody thing w/her ex. I wouldn’t feel comfortable bringing up a kid in that environment and I feel bad for her. Those are true. MS is different. Were in most states, even TN the mother has about 90% of the law in her hands, were MS is based off he said, she said with no evidence needed. “Boyfriends” was Micheal only. They just were bitter & made Cleondra & Micheal out to be something they’re not. As you see they somewhat branded Cleondra as everyone seems to think “Well something had to happen for her to lose custoday”. This is just my experience in both states. Her attorney at the time didn’t do his job & she didn’t have a fair trial. She seemed like a good mom. I wonder what happened that Mario was awarded custody?